Nimm, was dein ist, und gehe hin (Take what is yours and go away), BWV 144, is a church cantata by Johann Sebastian Bach. He composed it in Leipzig for the Sunday Septuagesimae, the third Sunday before Lent, and first performed it on 6 February 1724. 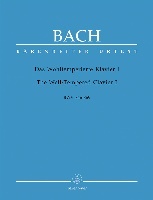 Bach wrote the cantata in his first year in Leipzig for Septuagesimae. The prescribed readings for the Sunday were taken from the First Epistle to the Corinthians, "race for victory" (1 Corinthians 9:24–10:5), and from the Gospel of Matthew, the parable of the Workers in the Vineyard (Matthew 20:1–16). The unknown poet derives from the gospel only the thought to be content with one's lot and submit to God's will, "Genügsamkeit" (contentedness) being a key word. The opening chorus is based on verse 14 of the gospel. Movement 3 is the first stanza of Samuel Rodigast's hymn "Was Gott tut, das ist wohlgetan". The closing chorale is the first stanza of Albert, Duke of Prussia's Was mein Gott will, das g'scheh allzeit (1547). 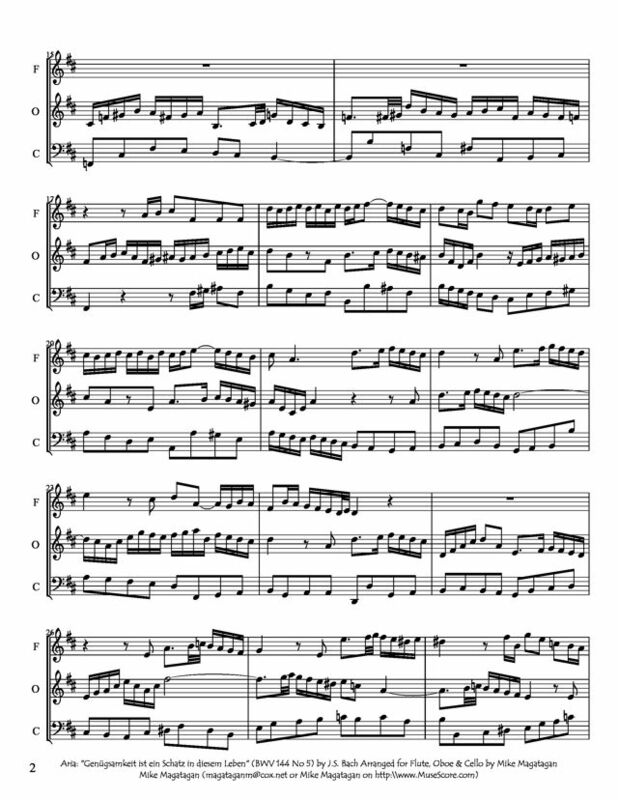 Bach composed the extremely short Bible quote of the opening chorus as a motet fugue with the instruments playing colla parte, thus intensifying the attention for the words. The phrase "Gehe hin" (go away) is first presented in the slow motion of the theme, but then as a countersubject repeated twice, four times as fast as before. As John Eliot Gardiner notes: "In 1760 the Berlin music theoretician Friedrich Wilhelm Marpurg singled out the opening of this cantata, admiring the "splendid declamation which the composer has applied to the main section and to a special little play on the words, "gehe hin!"". (Original German: "die vortreffliche Deklamation", die "der Componist im Hauptsatze und in einem kleinen besonderen Spiele mit dem gehe hin angebracht hatte".) Bach repeated the "gehe hin"-figure sixty times in sixty-eight bars. The first aria has menuet character. In "Murre nicht, lieber Christ" (Do not grumble, dear Christian), the grumbling is illustrated by repeated eighths notes in the accompaniment. 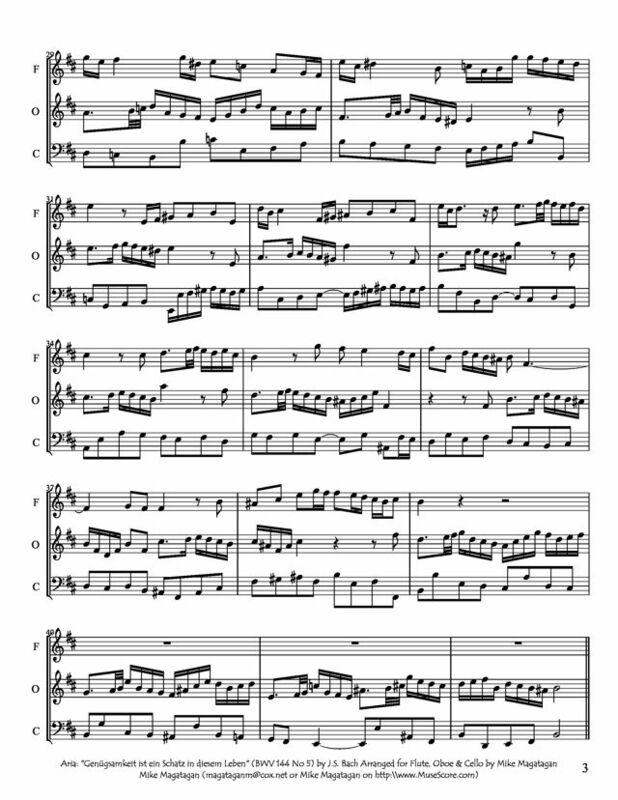 Movement 3 is first stanza of the chorale "Was Gott tut, das ist wohlgetan" which Bach used later that year completely for his chorale cantata BWV 99, and again in the 1730s for BWV 100. The words "Was Gott tut, das ist wohlgetan" are repeated as a free arioso concluding the following recitative. 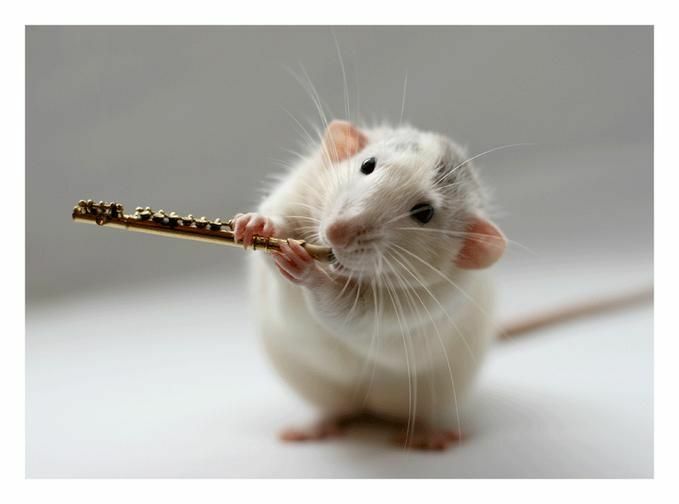 The soprano aria is accompanied by an oboe d'amore obbligato. Instead of a da capo, the complete text is repeated in a musical variation. The closing chorale is set for four parts. 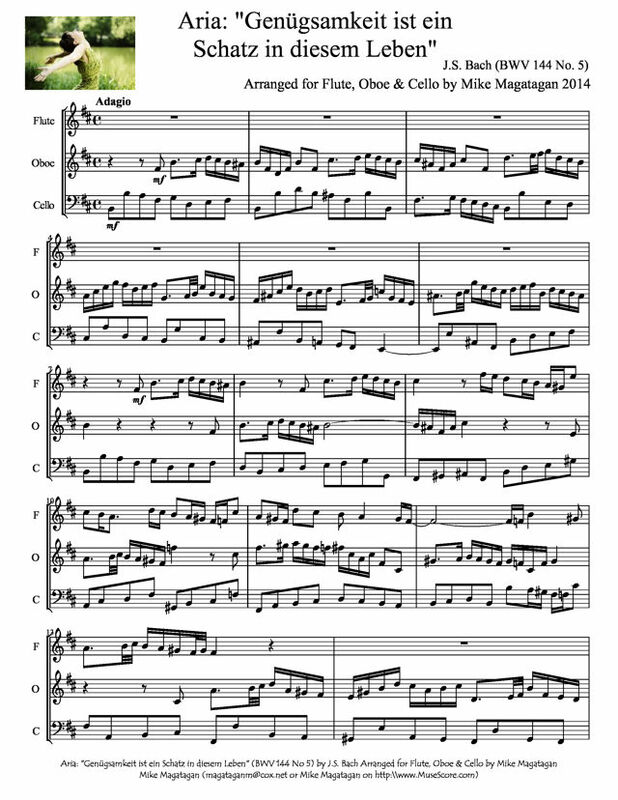 Although this cantata was scored for soprano, alto and tenor soloists, a four-part choir (SATB), two oboes, oboe d'amore, two violins, viola, and basso continuo, I created this arrangement for Flute, Oboe & Cello.